SmallRiniLady will be at Artist Alley At ChibiChibiCon on Feb 23. 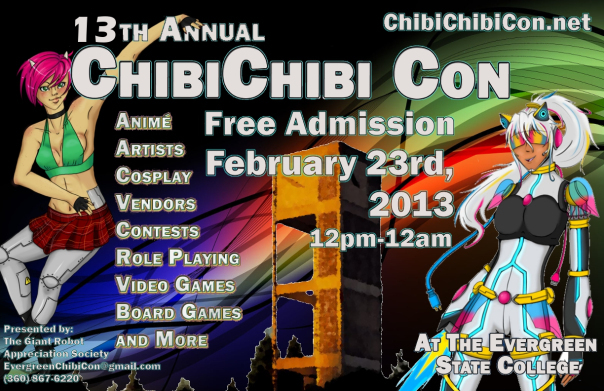 A single day anime event at The Evergreen State College in Olympia, by the Giant Robot Appreciation Society (G.R.A.S.). If you're in the area pop by and check it out.